Born in Livingston, Scotland 1964, immigrated to Canada 1968. Graduated High School from Central Elgin Collegiate Institute in St.Thomas in 1982. Graduated from Humber College’s Film and TV Production Program in 1986. Worked for the Partner’s Film Company in Toronto 1986-1988 as an assistant editor. Started 2 businesses between 1988 -1990; Reel Impressions Inc, a film production company and CF Natural Meats, an wholesale supplier to GTA butchers, (CF Natural Meats merged with Cumbrae Farms which is still in business, including retail outlets in Dundas, Oakville and Toronto). Hired by CBC Windsor as Commercial Producer 1990 then CBC Windsor was closed by head office 1991. Hired by CHCH TV, first as free lance producer in 1991, then full time in 1993. 1999 Andrewleft CHCH after forming a real estate holding company with 6 partners to acquire the CHCH Telecentre and adjoining properties, while free lancing as a marketing director and commercial producer. In 2005, after successfully investing in a number of residential properties over the years, Andrew left the TV business for a full time real estate career, completing all the necessary courses including the optional Broker designation. 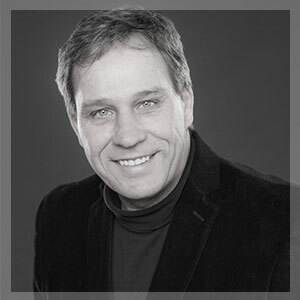 He achieved top sales records with Glanville and Associates Realty every year while there and then in 2009 was recruited by Royal LePage State Realty earning Gold and Platinum Sales Achievements Awards. In 2015 Andrew accepted the position of Broker of Record with Keller Williams Complete Realty. Andrew is married with 2 daughters aged 11 and 13 and resides on the West Mountain area of Hamilton. In addition to working as a Realtor, Andrew manages his own portfolio of 27 Residential Units in 3 buildings located in the Durand neighbourhood of Hamilton.